How do I reset my OverDryve to its factory state if it is unable to boot? What updates are included, and how often are they available? What if I want to take a different route? Why can’t I find the campground I’m looking for? Why didn’t the RV GPS guide me directly to the campground entrance? 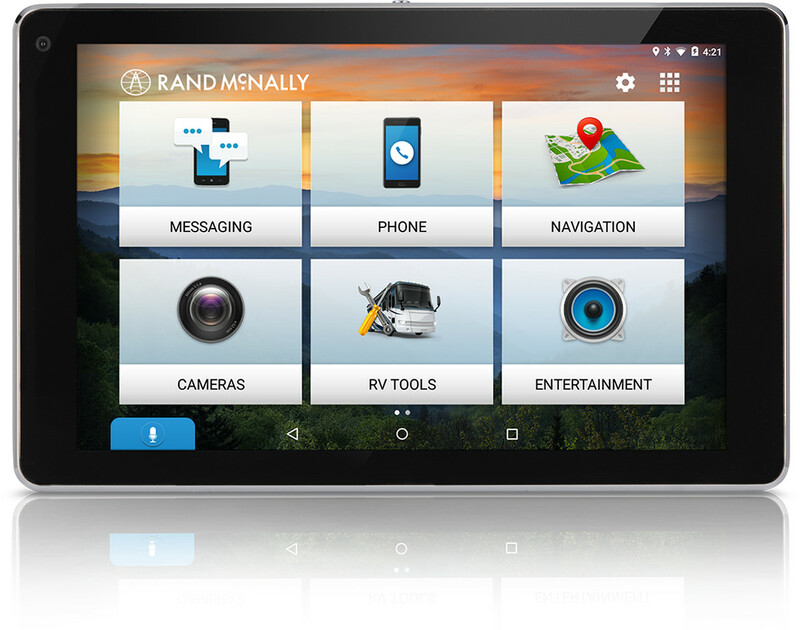 What are custom points of interest and how can I import those to my RV GPS device? My device has no signal, drops the signal, or shows me in an incorrect location. What is the warranty on my GPS? How do I use the onboard dash cam? How can I make Google Chrome my default browser on my device? How do I register my OverDryve from the device? What kind of music files can my device play? Why can’t I use the AUX port on the side of my OverDryve when it is attached to the Smart Mount? How do I restart or reset my OverDryve? Can I use a microSD card with my OverDryve? How do I stream music or audiobooks from my phone to OverDryve? How do I control what text message information displays on my OverDryve? How do I enable text message notifications? How do I send a text message without the Voice Assistant? Why can’t I see new messages on my iPhone? Can I make a conference call hands-free? How do I make a call or send a text message hands-free? Can I only sync certain contacts from my phone to OverDryve? How do I pair my phone using Bluetooth®? Can I add my device to my cellular plan?